After failing my first test and not driving for months I was nervous to start again, but Dave was patient and made me want to improve my skills. I was determined to pass the second time around and with Dave's help I passed with flying colours and with only one minor. The LD System was very different to how I had previously been taught, but I felt that it was easier to understand and honestly made my lessons a lot calmer. 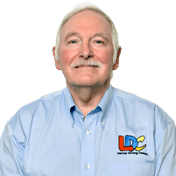 If I had known about LDC to begin with then they would definitely have been my first choice. Thank you Dave! 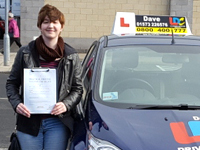 I'm a driving instructor in Galashields, Lauder, Gordon, Earlston, Kelso, Heiton, Melrose, St Bosswells, Selkirk, Jedburgh, Hawick, Duns, Peebles, Berwick-Upon-Tweed and surrounding areas.